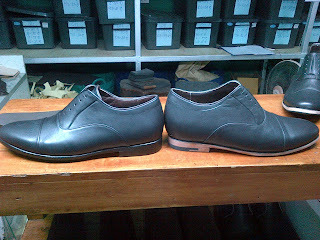 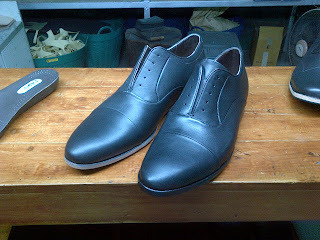 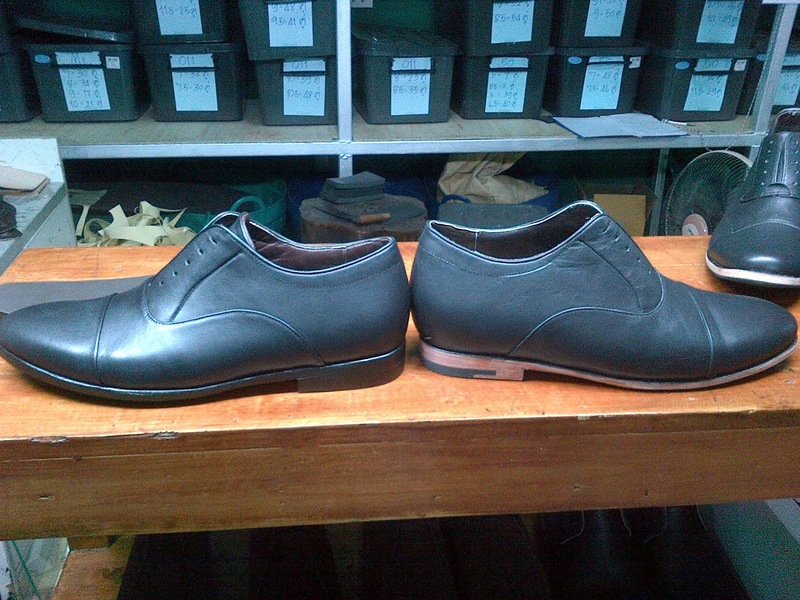 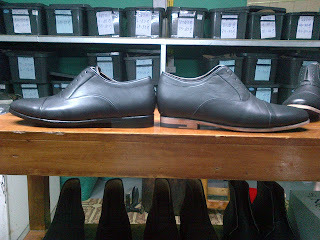 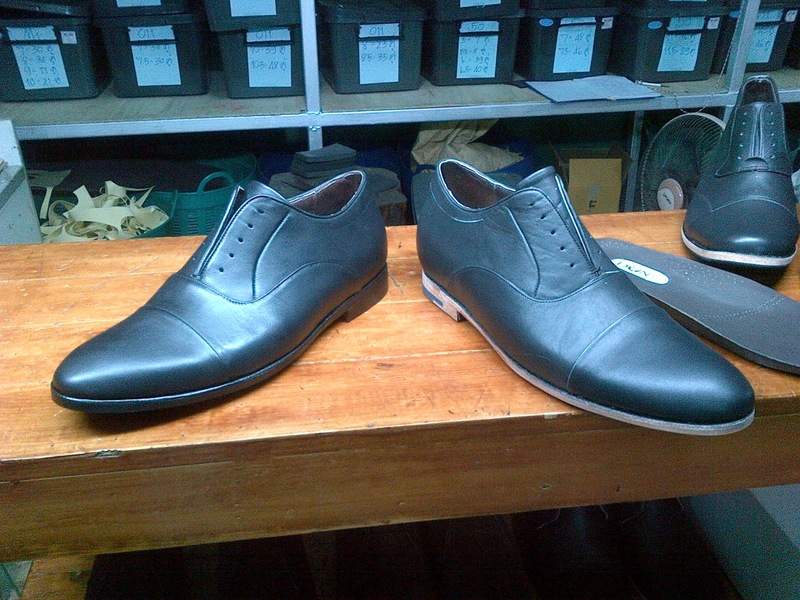 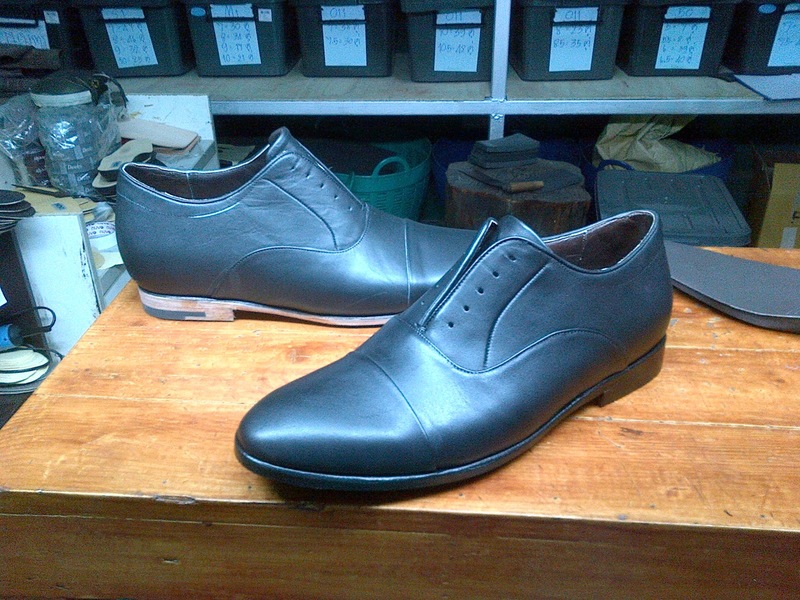 Ive finally taken some pictures of the custom shoes for leg length discrepancy that I sometimes make. 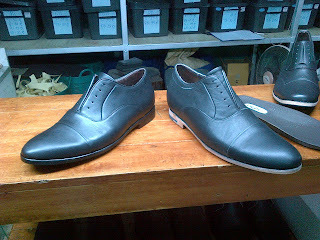 The details are as follows: The Right Shoe is in Matt with the Welt and edge/rand unfinished and give the wearer a extra 1.5 inches inside. 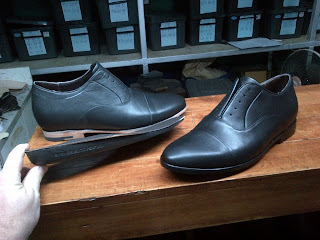 The left shoe, the one that has been buffed, brushed and polished and has a glossier finish is a standard shoe with a 1 inch heel.